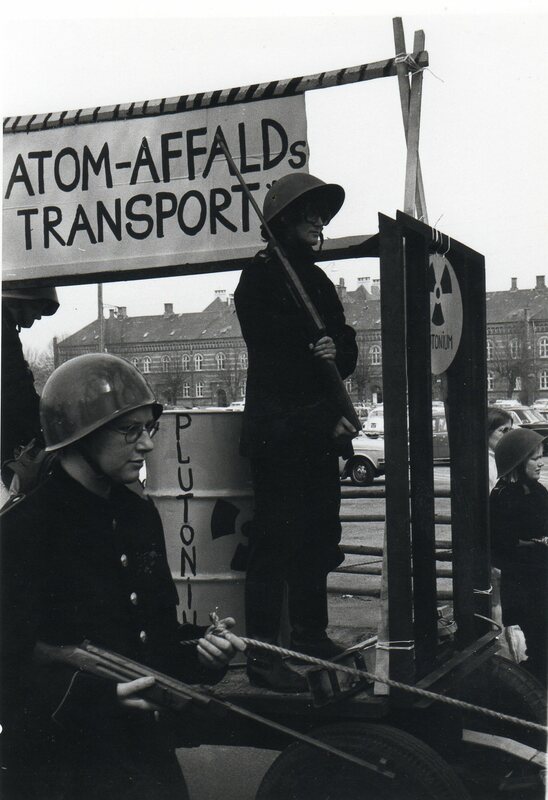 Historien bag det danske folks NEJ TAK til atomkraft. 10 years from 1976 to 1985 of creative and intelligent campaigning against nuclear energy by OOA convinced a majority of the danish people not to choose atomic power but renewable sources as wind, water and solar energy. From Atomicpower to Solarenergy - introduction to energy discussion. The frontpage of a book by The Organisation to information about Atomicpower, OOA, September 1980. Thanks to OOA for use of this print. This grassroot movement OOA (Organisationen til Oplysning om Atomkraft) in Denmark was the key factor for a future sustainable energy production in Denmark and all over the world.
" - FACTS "(Quote). 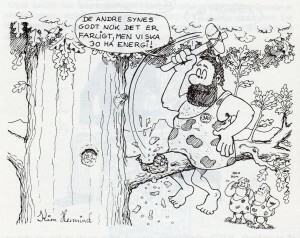 Drawing by Claus Deleuran, danish cartoonist and writer, born 4. august 1946, died 31. january 1996. Thanks for the use of this drawing. 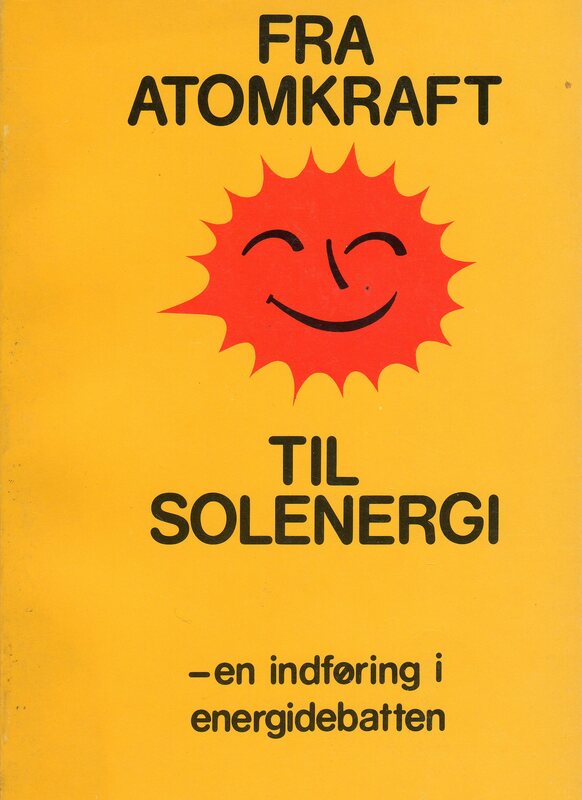 From book: Fra Atomkraft til Solenergi - en indføring i energidebatten, Udgivet af Organisationen til Oplysning om Atomkraft (OOA), Nørregade 47, 8000 Århus C, september 1980. Qoute: Copyright by Organisationen til Oplysning om Atomkraft. Gengivelse af dele af denne bog er tilladt ved angivelse af kilde, Unqoute. Click on the pictures and you will see them in full screen size.
" - They said its dangerous, but we need energy" (Quote). Drawing by Kim Hermind. Thanks for the use of this drawing. From the book: Fra Atomenergi til Solenergi by OOA, september 1980. The change of danish energy policy from dominated by oil and coal to a future more clean and safe energy policy was a long and very hard political battle. 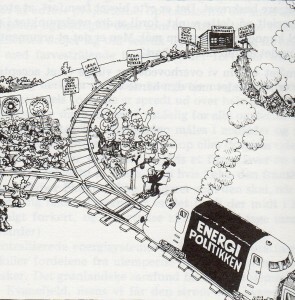 The energy policy train - which direction? Political, economic, cultural, environment, social? Its the people´s decision - or What? Prime minister Anker Jørgensen in the centre of the drawing at the switch of the railway. Drawing by Claus Deleuran. Thanks for the use of this drawing. 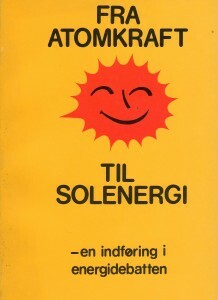 From the book: Fra Atomkraft til Solenergi by OOA, september 1980. Click on the pictures and you will see them in full screen size. It started in may 1976 with the danish goverment proposal of a law in the danish Parliament to introduce nuclear energy in the future danish energy systems. The law “Proposal of law to introduce nuclear energy as energy source in Denmark, Lawproposal nr. 251, Folketinget 1975-76”,(“Forslag til lov om anvendelse af kernekraft som energikilde i Danmark, Lovforslag nr. 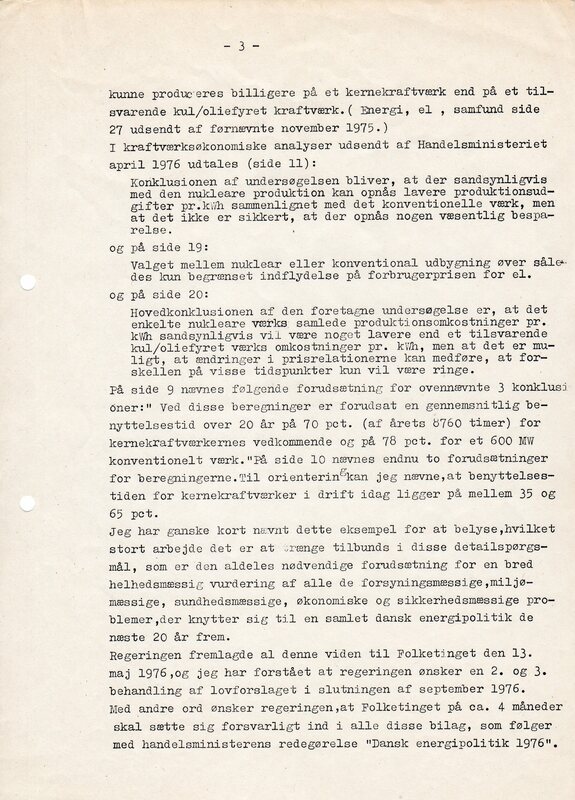 251, Folketinget 1975-76”) was proposed by the Minister af Commerce on behalf of the Government. 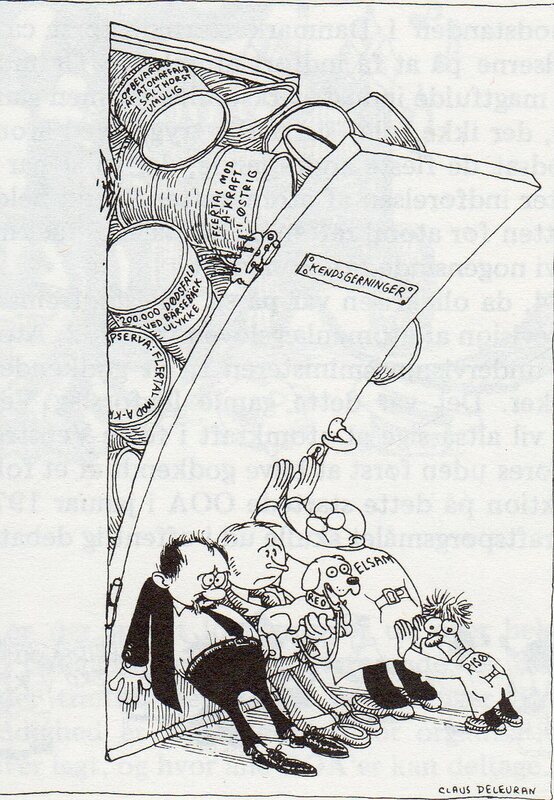 On the 13. may 1976 the Minister of Commerce explained to the danish Parliament: “The principal question about nuclear power will be introduced in Denmark is decided by this law”. At the same time the minister explained the future of danish energy policy for the next 25 years untill 2000 and introduced to the danish Parliament “Folketinget” the report: “Danish Energy Policy 1976” with 5 supplements enclosed (“Dansk energipolitik 1976” med 5 bilag). 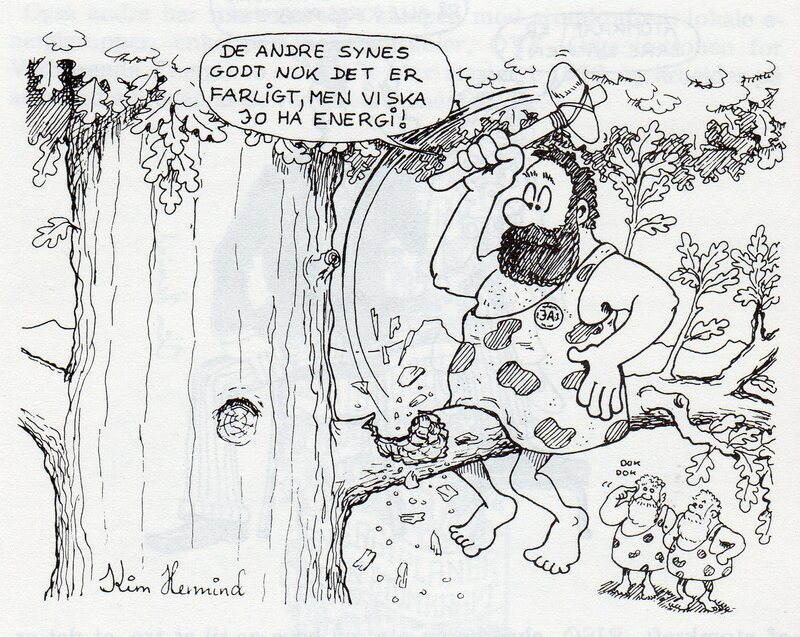 Since 1975 I got interested in a more serious scale in the future danish energy policy. My view was and is today clean, sustainable and renewable energy. A national energy system which is dominated of solar, wind and water power protect the nature in Denmark and all over the world. When I got the news about the Law to introduce nuclear energy in future danish power stations I knew that the time for a serious debate and discussion was short. The Goverment told the Parliament and the Danish people they want to implement the law with a vote in the Parliament in September 1976. And extraordinary the goverment planned to meet with the Parliament in mid august 1976 to discuss the law (nr. 251) of introducing nuclear energy in Denmark. I was amazed! How could a government introduce such an important law just BEFORE the summer holiday? Noboby had time, energy and interest to discuss such big and difficult questions in june, july and august 1976! As thought – I did it! I got all the papers sended from the Ministery of Commerce, Copenhagen to my home in Aarhus. 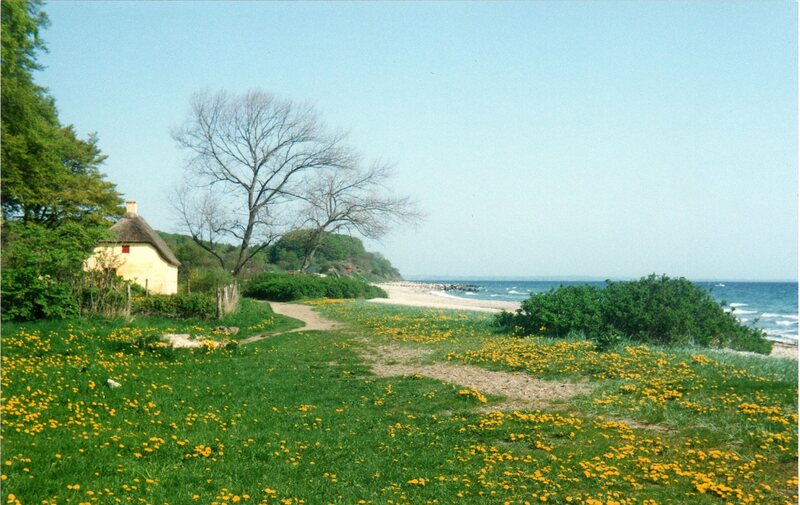 And in my home and on the beach of Moesgaard south of Aarhus I read and studied in the summer 1976 all papers from the government about future danish energy politic as introduced through ” Danish Energy Politic 1976 with 5 supplements”. 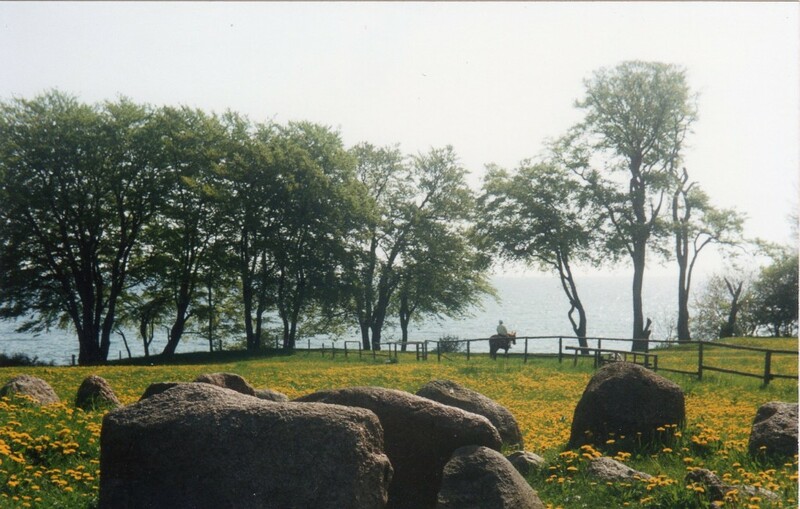 – and at the same time enjoyed life by swimming , walk and run in the forests of Moesgård Gods og Marselisborg south of Aarhus. I knew that politic is knowledge and timing! The 179 members of the danish parliament Folketinget have to be open minded and interested to read an open letter from an ordinary voter as I – a layman ! I knew I had to wait to write my open letter untill close to the date for the extraordinary debate in the Danish Parliament in mid august 1976. 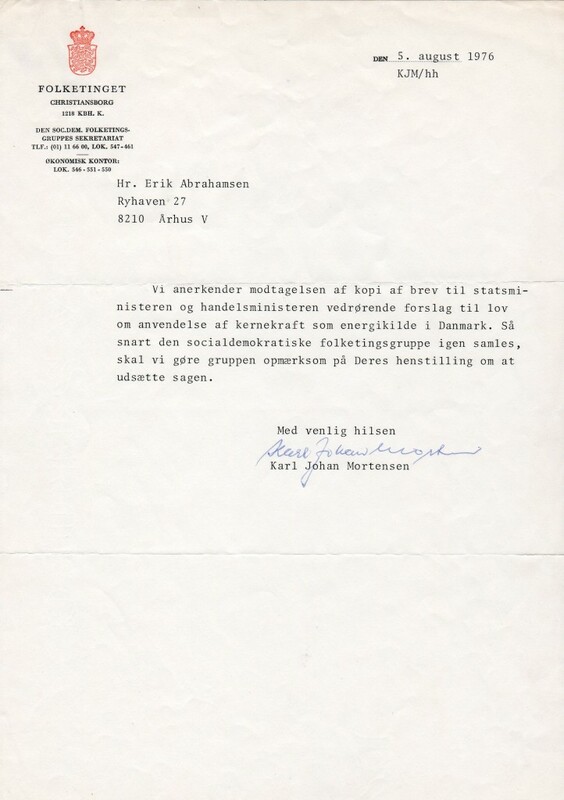 My letter of 3. august 1976 from Erik Kristian Abrahamsen to Danish Government and Danish Parliament Folketinget. Page 2. My letter of 3. august 1976 by Erik Kristian Abrahamsen to Danish Government and Danish Parliament Folketinget. Page 3. 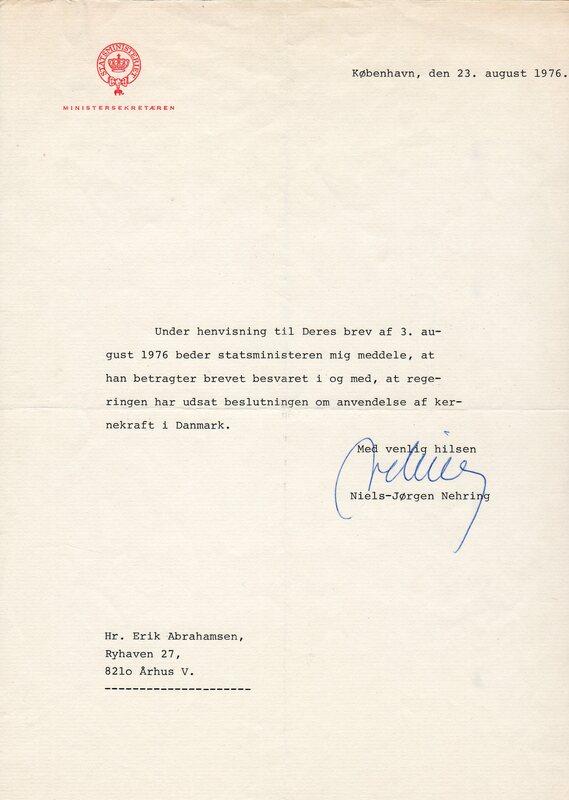 My letter of 3. august 1976 from Erik Kristian Abrahamsen to danish Government and danish Parliament. Page 4. In my open letter I prove in 4 pages the irresponsibility of an quick principal decision to introduce nuclear power in Denmark. I suggest the danish government to cancel the law “Lawproposal nr. 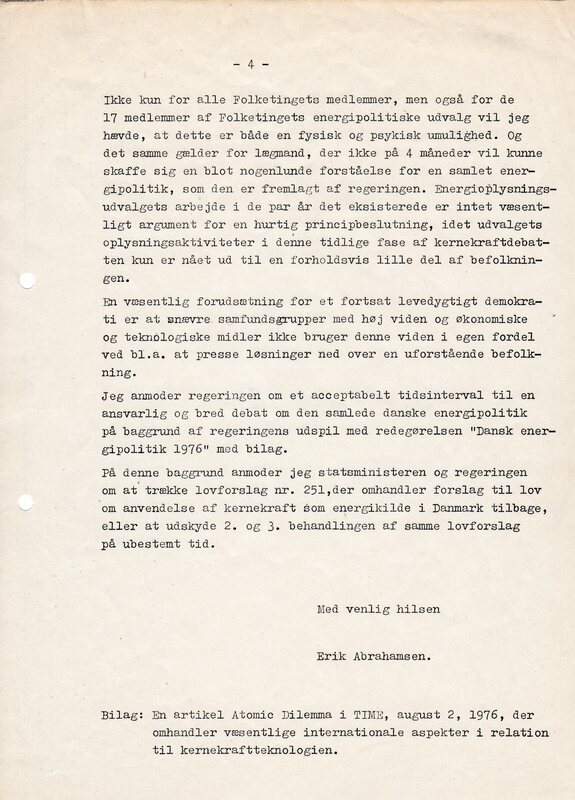 251 to introduce nuclear energy as energy source in Denmark, Folketinget 1975-76” and I ask the government of a responsible and wider debate about the whole danish energy policy. On my 31 years birthday 4. august 1976 I got a phone call from The Danish Parliament “Folketingets Energy Committee” ( Folketingets energipolitiske udvalg) by the secretary and ask me to send 40 copies of my open letter of 3. august 1976 to be given to all members of the Folketingets Energy Committee. – The Prime Minister has ask me to thank you for Your letter of 3. august 1976 and inform, that he with interest has familiarized himself with Your views and suggestions. The Prime Minister make a note of with satisfaction, That You also has sent the letter to the Minister of Commerce, who will answer the letter. – Statsministeren har bedt mig takke for Deres brev af 3. august 1976 og meddele, at han med interesse har orienteret sig om Deres synspunkter og forslag. Statsministeren noterer med tilfredshed, at De også har sendt brevet til handelsministeren, der vil besvare brevet. 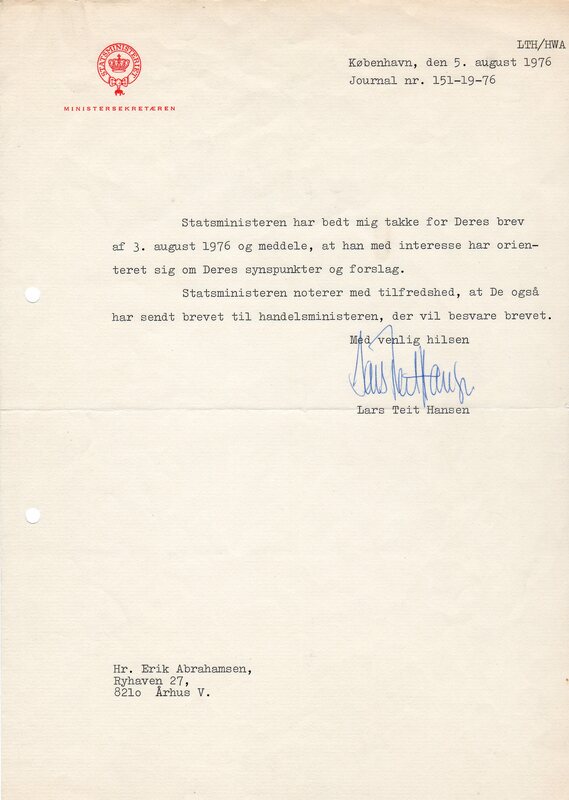 Letter from Danish Prime Minister Anker Jørgensen of 5. august 1976 to me as his answer to my letter of 3. august 1976 to Prime Minister. Brev af 5. august 1976 fra den socialdemokratiske folketingsgruppes sekretariat. 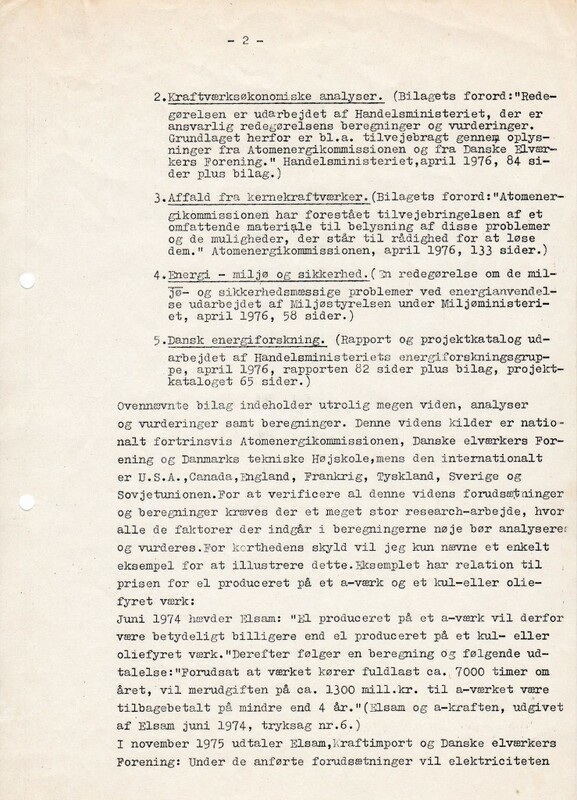 The prime minister Anker Jørgensen and his government met with the Danish Parliament Folketinget on a extraordinary session mid august 1976 and discussed the law ” Proposal of law to introduce nuclear energy as energy source in Denmark, Lawproposal nr. 251, Folketinget 1975-76″. 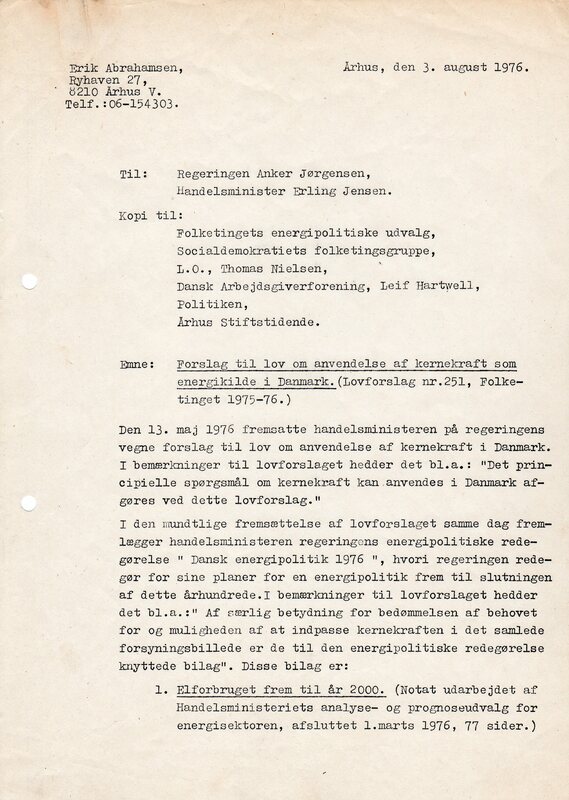 – Referring to Your letter of 3. august 1976 the Prime Minister have asked me to inform, that he consider the letter been answered, because of the governments postponement of the decision of using nuclear energy in Denmark. København, den 23. august 1976. – Under henvisning til Deres brev af 3. august 1976 beder statsministeren mig meddele, at han betragter brevet besvaret i og med, at regeringen har udsat beslutningen om anvendelse af kernekraft i Danmark. Final letter of 23. august 1976 to me from the Danish Prime Minister Anker Jørgensen as answer to my letter of 3. august 1976. 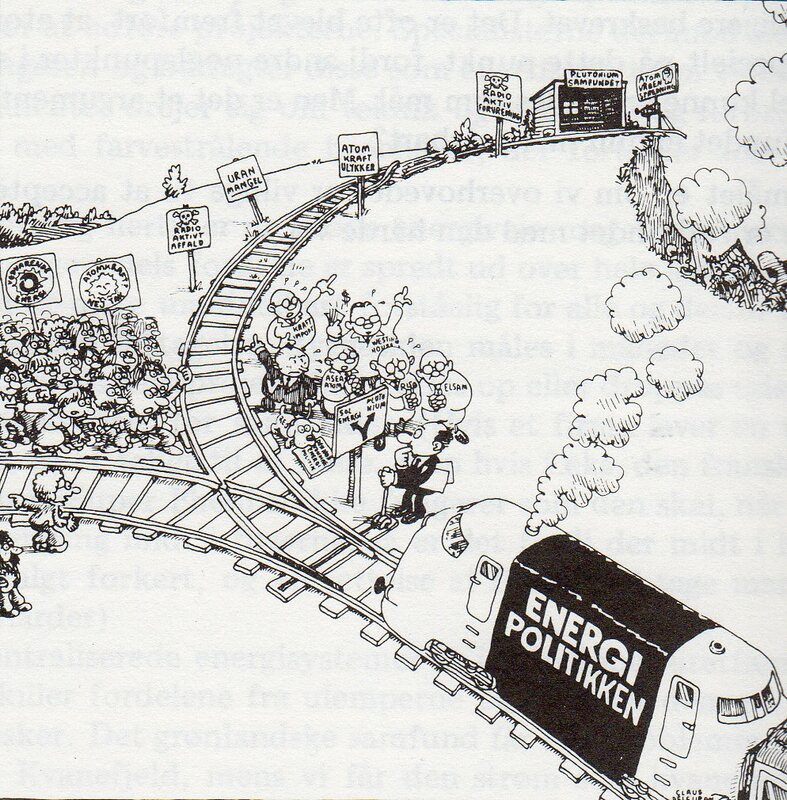 In 1985 the Danish Parliament Folketinget decided NOT to use nuclear energy in the danish energy supply systems! This article is dedicated to and has been written in honour to the danish people, the grassroot movement OOA, Prime Minister Anker Jørgensen and his Government and the Danish Parliament Folketinget of the wisdom of choosing a clean, renewable and sustainable energy policy in the presence and future danish energy systems. Denne artikel er tilegnet til og skrevet i ære til det danske folk, græsrodsorganisationen til Oplysning om Atomkraft (OOA), Statsminister Anker Jørgensen og hans regering og til det danske Folketing for deres visdom i at vælge en ren, vedvarende og bæredygtig energipolitik i nutidens og fremtidens danske energisystemer. Hvorfor er der ikke atomkraftværker i Danmark? af Niels Chr. Sidenius, Politica bind 18, 1986, side 377, (pdf version på internettet, søg gennem GOOGLE). With Love and for a clean and green future!